It’s hard to disagree with O’Reilly. Data has certainly grown in size and in prominence in the past few years. Forget big data – now that we’re measuring it in zettabytes, we’re in the realm of gargantuan data. However, without the software to make sense of the data, all of you’ve got is a vast library with books tossed everywhere. Or worse – a library where covers have been ripped off books and all of the pages are rearranged. 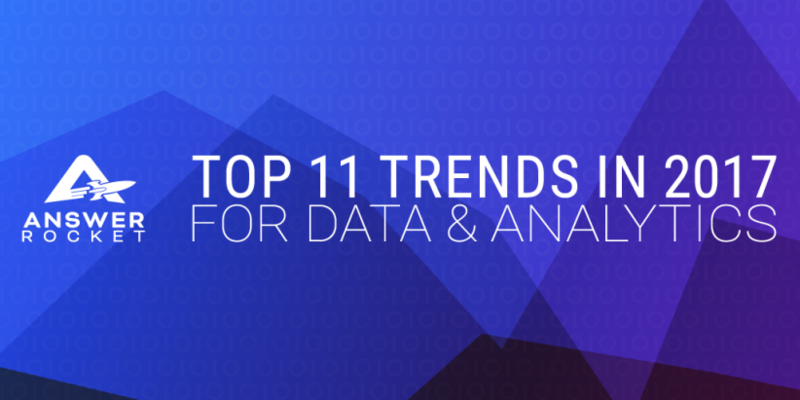 In this year’s compilation of trends, we talk about data as well as the analytics tools that give power and organization to data. We also discuss the way in which companies and work itself is changing. To get your digital copy, fill out the form below. Best wishes for a year filled with data-driven insights.